Let’s face it! Household appliances are vital for smooth running of our homes; they bring ease and convenience to our everyday life. It is very frustrating when an appliance, say the washer, the dryer or the dishwasher, breaks down. You may be tempted to fix it yourself, but that is not advisable because you may end up causing more damage that will cost you a fortune. Well, you need the services of a reliable and experienced repair expert. That is just what you get and much more, from Service Masters Appliance. This saves you the huge costs you would incur in purchasing a brand new appliance replacement. 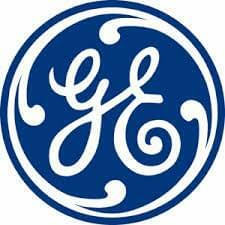 Service Masters Appliance has a solution for all your GE washer problems, that is if you reside in Santa Clarita or Valencia, and the surrounding areas. The company offer expert services for all major commercial and residential washer brands. With a team of professional licensed, factory trained and certified experts, they offer same day quality and competitively priced washer repair services to all customers. Considered the leading appliance repair company, they serve diverse areas that include: Valencia, Santa Clarita, Sand Canyon, Stevenson Ranch, Saugus, Newhall Ranch, 91387, 91386, 91384, 91310,91354,91351, 91350, 91383,91382, 91381, 91380, 91385, 91355, 91354, and 91390. Service Masters Appliance also outsources the services of local technicians, living in valencia, santa clarita area. If you are looking for exceptional repair services for your defective washer appliance, – a deal that you will never regret – the expert is just a phone call away. Call Service Masters Appliance on 888-657-1763, for satisfactory services.